The series that came out of nowhere. 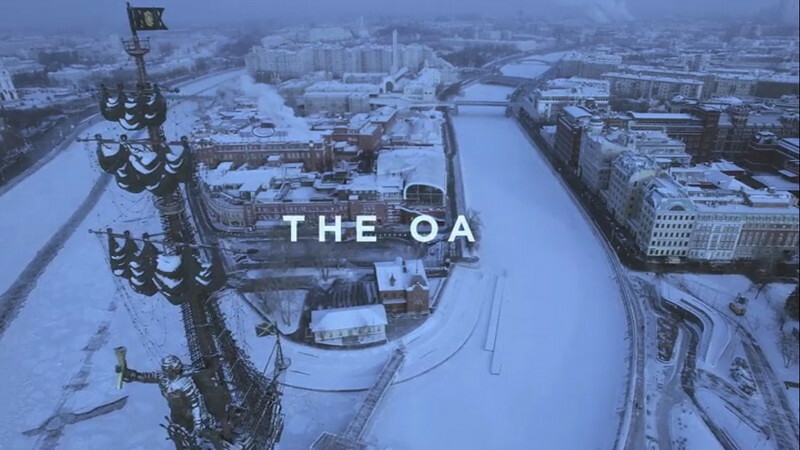 When the trailer was released, only four days before the premiere of The OA in December 2016, almost nothing was known about this intriguing Netflix original production. As it happened that same year with Stranger Things, the show was an unexpected surprise, generally well received by public and critics alike. The project was created by Brit Marling, who wrote the story and is also performing the starring role, and Zal Batmanglij, who directed all the episodes. Both were also previously involved in the making of indie films Sound of My Voice and The East. In season 2, Kingsley Ben-Adir plays the central role of Karim, a private eye who lives on a houseboat. 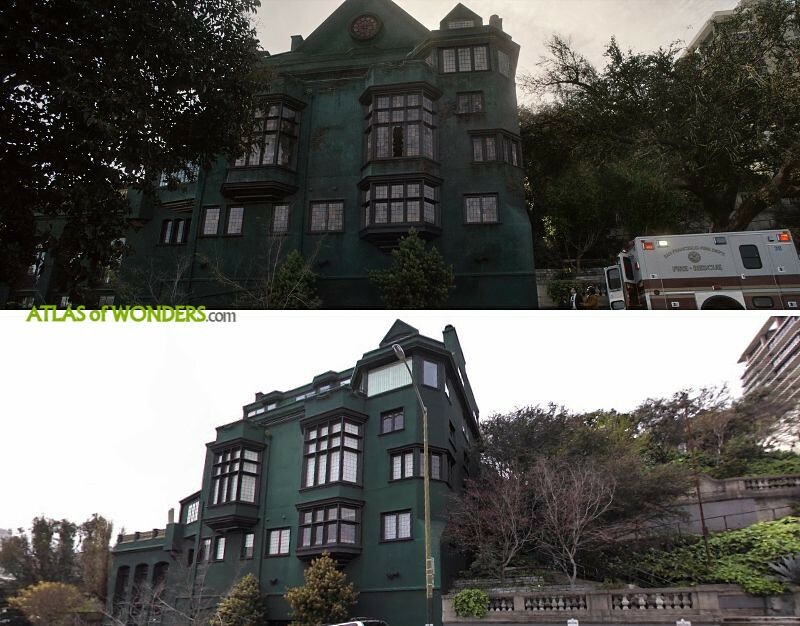 The OA's old neglected house is near Nob Hill, in the heart of the Russian Hill historic district in San Francisco. Notice that the rose stained-glass window in the top was added digitally. The house of the Vietnamese family is located in O'Farrell St in Tenderloin neighborhood. 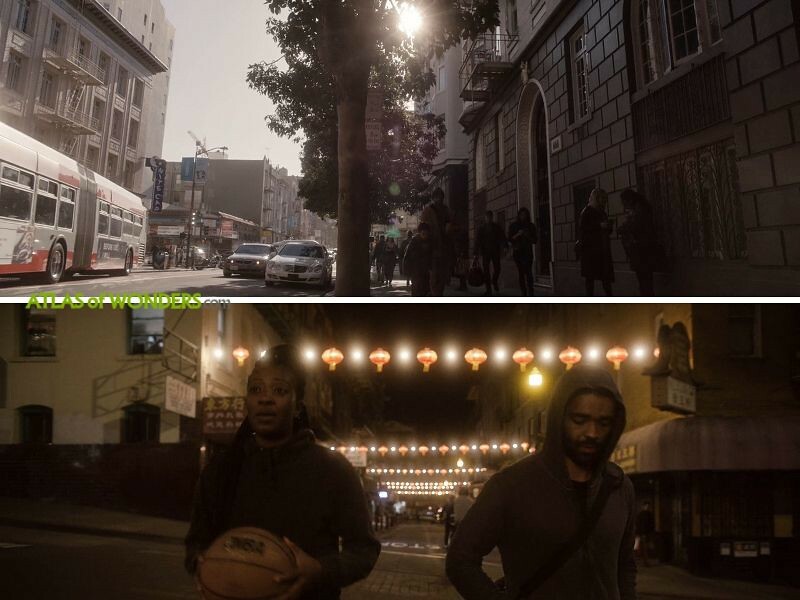 The scene pictured below with Karim having a conversation in the street, was shot in Waverly Pl, Chinatown. In episode 4, several scenes with Hap and Elodie were filmed in San Francisco City Hall (pictured) and the War Memorial and Performing Arts Center. 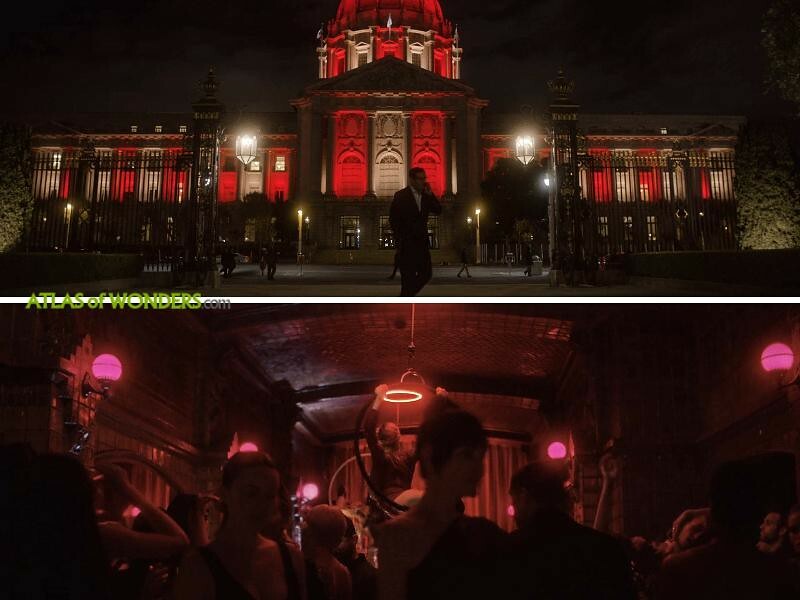 The club where Praire and Karim seem to have been transported into a David Lynch movie is the Whitechapel, located at 600 Polk St. 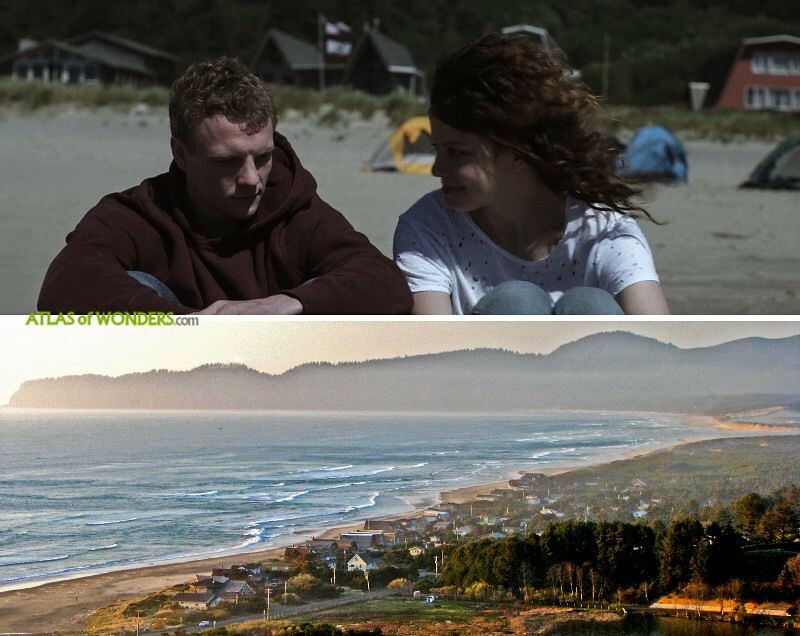 The scenes on the beach at BBA’s cousin house were filmed in Tierra Del Mar, also in Oregon (Tillamook County). Crestwood is the small village in the suburban Midwest, where Prairie spent most of her teenage years. 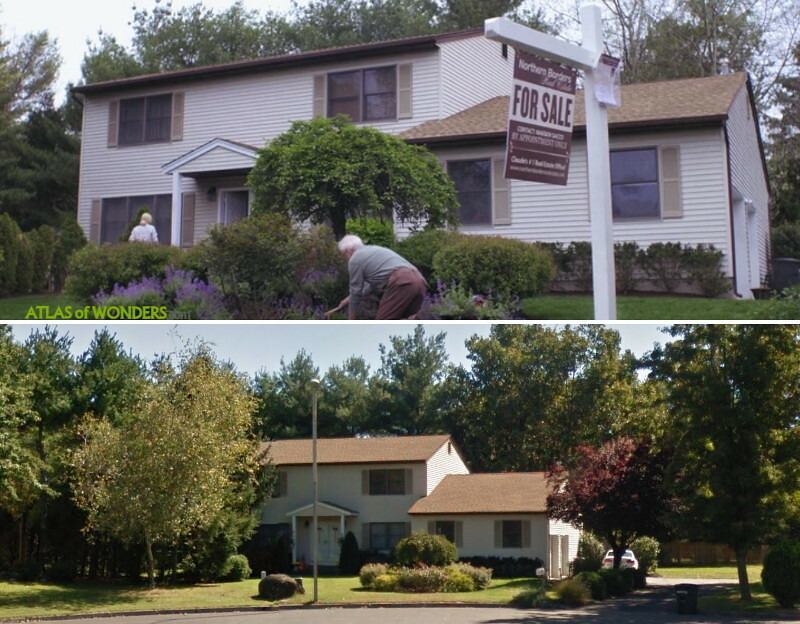 Her home as an adult is located at 189 Pine Tree Lane in Tappan, NY (Rockland County). 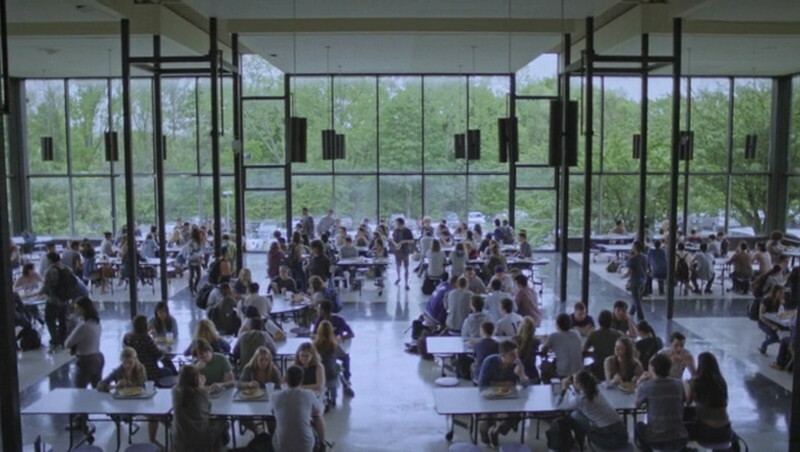 The High School's cafeteria is actually located at Pace University Briarcliff Campus in Westchester County, NY. The bridge that can be seen in a crash scene is in New Croton Dam, Croton-on-Hudson (NY). According to this source, filming also took place in the water tanks at Survival Systems in Groton (CT) for two days. 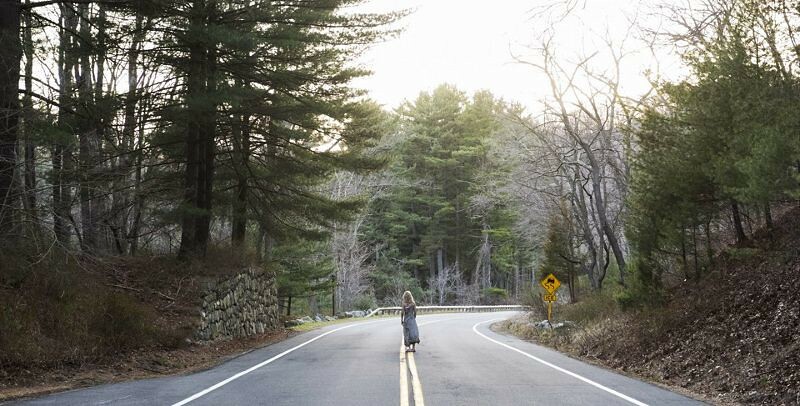 The takes from the van before that accident and the place where Hap leaves the OA in the road are filmed in the Seven Lakes Drive, Harriman State Park (more details in the comment of Pure Peace below, thanks!). We reckon that the location of the lake where little Prairie gets a lesson about bravery may not be very far away. The restaurant where Renata's guitar concert is taking place is La Guarida, at 418 Concordia, La Habana. 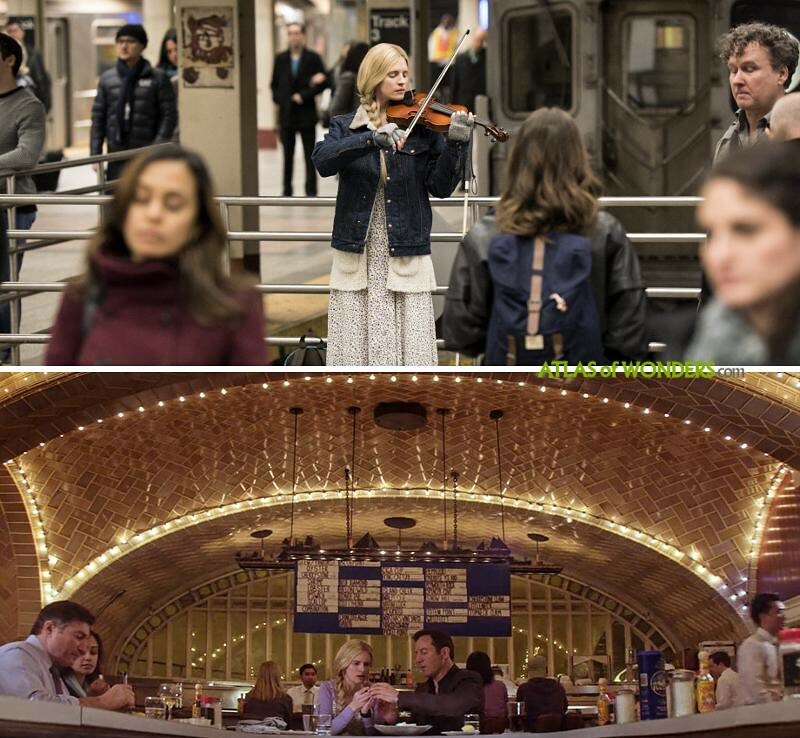 Can you help to find the missing filming locations for The OA? Could you proofread this post, please? To complete this report, any feedback, suggestions or images that you may have are more than welcome, thank you! The hospital is Allegheny General Hospital on the north side of Pittsburgh. Several films have been made thereasy, as well as other films in Pittsburgh. Episode 6 was filmed in the 01 level of the hospital that was never remodeled. I work at this hospital. Great show. But the mountian ranges are a little off putting for being set in Michigan. Right? Why even bother? Just say you're in NY or anywhere else that topography is more common. The upper penisula of Michigan in fact has low mountain ranges that look just like the ones in the series. As well as northwest Michigan around Petoskey. 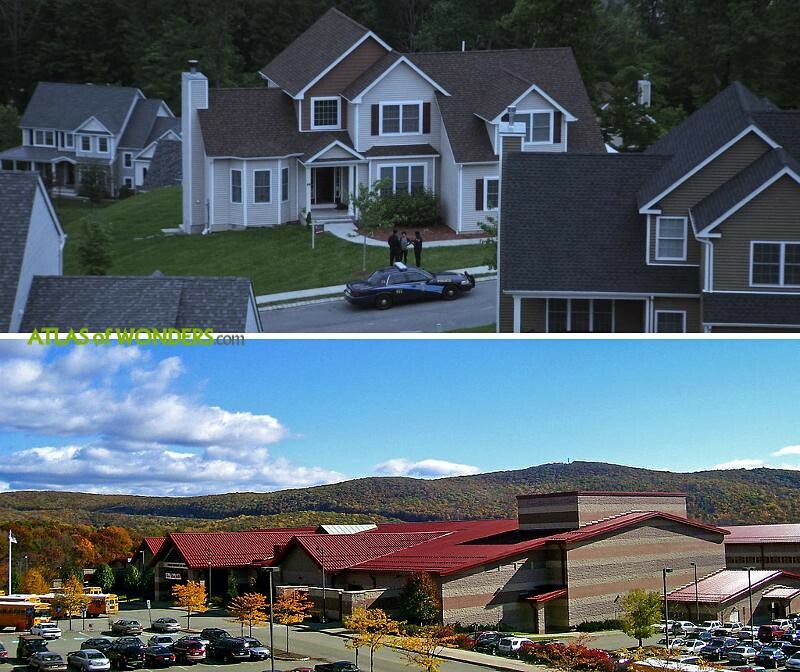 The neighborhood is across the street from Monroe Woodbury high school. It's called Woodbury junction. This show was shot at my school. The neighborhood where most of the kids lived was right across the street from the school. It's called Woodbury junction. Ah, it was so close, thanks for your help! The credits say "Filmed at Kaufman Astoria Studios in New York." Great, thanks a lot Bob! 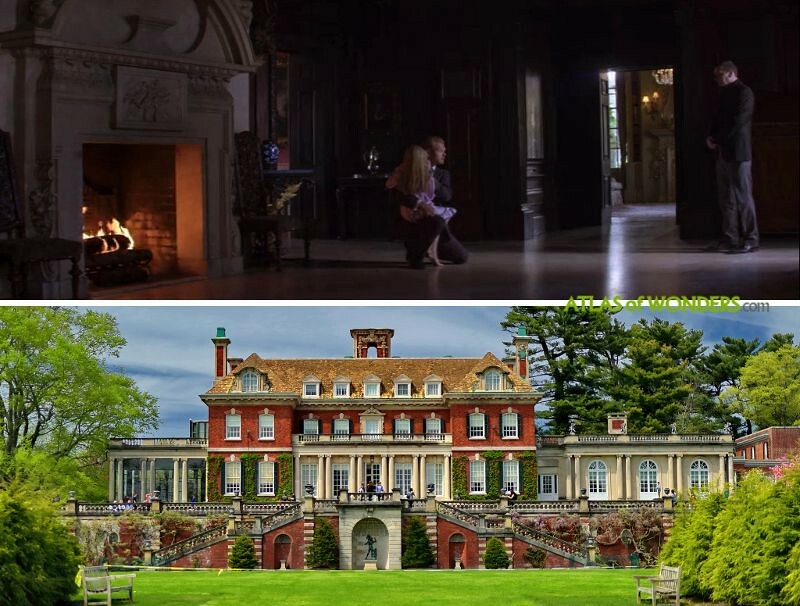 Old Westbury Gardens (Long Island NY) appears to be the house she lived in as a child in the first episode. The seen where the van full of Russian kids drives off the bridge was filmed at Croton Dam. Croton on Hudson, NY. 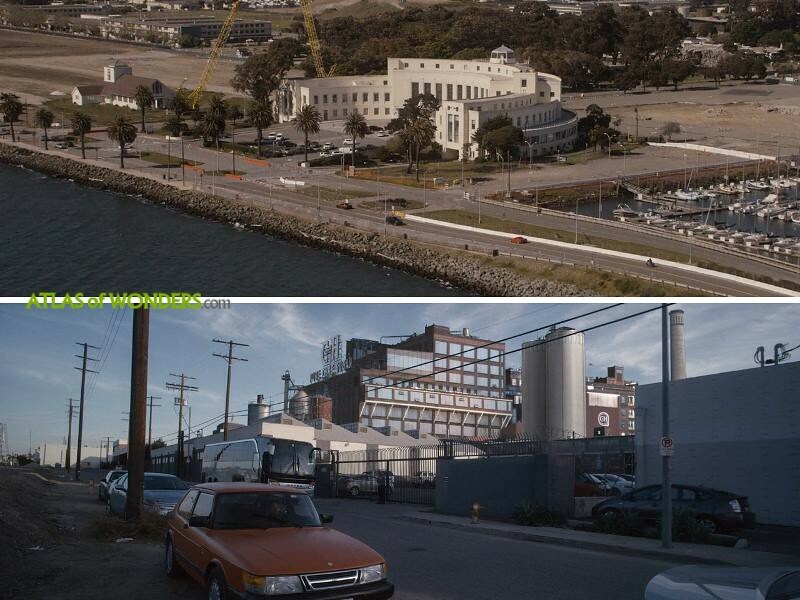 All the scenes with OA and Elias Rahim (the office, the cafeteria, when they are outside walking alongside a white office building, etc.) were all shot at 800 Westchester Avenue in Rye Brook, NY (Westchester County). 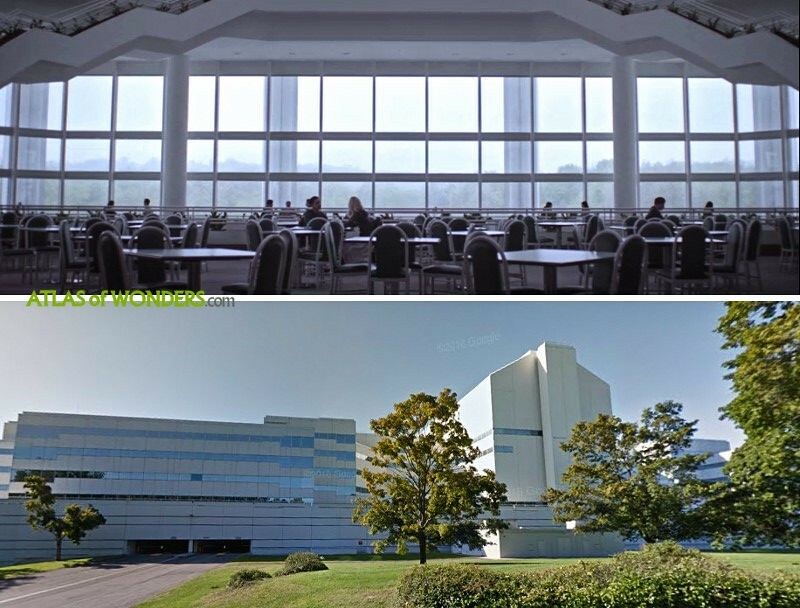 It's a locally famous office building originally home to General Foods/Philip Morris. It's sometimes refer to as the "Taj Mahal of Westchester" only because it's huge and white. The cafeteria is located in the center with the glass dome roof. For all the Mr. Robot fans, you'll also recognize this location as "Steel Mountain"
I was watching an episode last night and thought that the one restaurant scene with mother and father sitting in a booth was filmed in Langley British Columbia...is this possible? It looks so familiar!! Amazing, Thank you everyone. Update coming very soon! Right before the van of children falls off the (new croton) bridge, the van is driving along 7 lakes drive in Harriman State Park, southbound from tiorati circle. I instantly recognized the 2 bldgs along the left side of the road. The scene where Kap leaves OA on the side of the road is also on 7 lakes drive in harriman. In btw the Silvermine Lake parking lot and lake nawahunta .25 mile down the road. I drive through that park all the time and i instantly recognized. Ill post a pic i took with a comparison to a still from the scene. 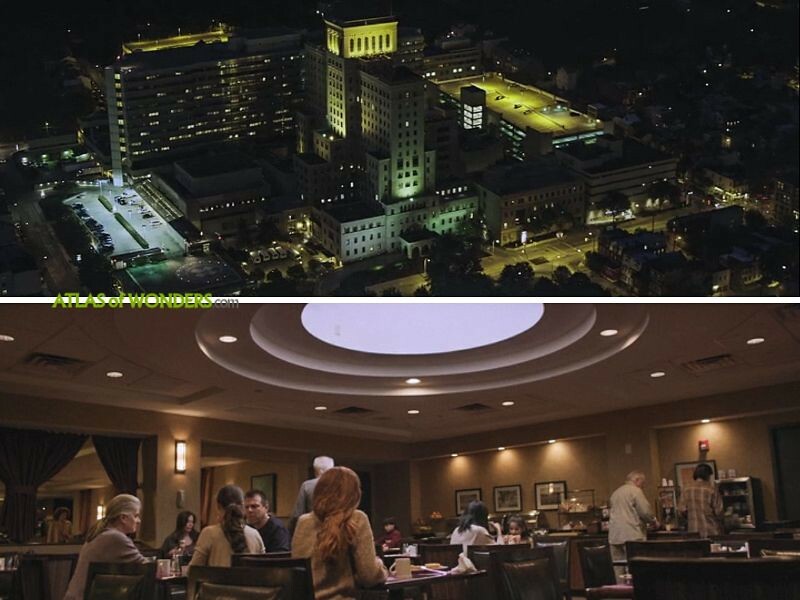 Hotel scene S1E8 with OA's parents talking over breakfast looks like Holiday Inn, Orangeburg, NY. Please confirm. The scene from Iceland is in southern Iceland, past Vik (less than a half hour) towards Hofn. It's a scenic rest stop. Thanks, I was there this year and the area is huge. It would be great if anyone knows a landmark or something where to stop nearby. 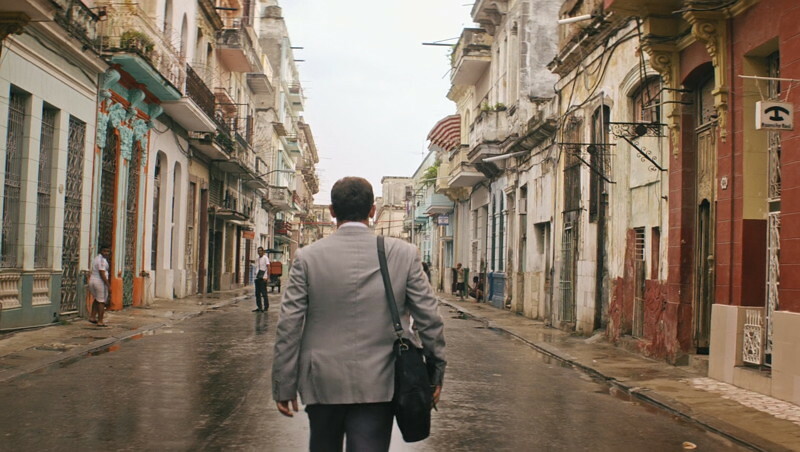 Anyone know if the restaurant in the episode "Cuba, Libre" where Hap tries to obtain Renata? I am visiting Cuba in the near future and was wondering if that Rooftop restaurant exists. Eat there for lunch and go in the evening for cocktails on the rooftop patio. The problem is that Rihanna went there and now it is becoming a tourist attraction. Thanks a lot Zbig, I just updated the post! 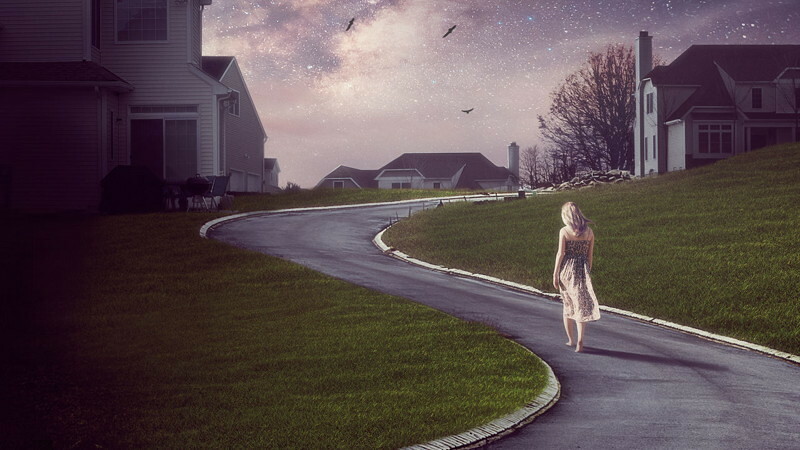 Prairie's home as an adult in The OA is located on Pine Tree Lane, Tappan, NY (Rockland County). Scenes were shot back and forth from the Tappan Home and my hotel (Holiday Inn Orangeburg). Cool, I included a new image from this location, thanks a lot Regina! I think the "mine" might be the canyon in Letchworth State Park, near Castile, NY. Hey there! I really loved your article! Would you let me translate it to Portuguese and post it to my website, Café Radioativo (caferadioativo . com)? Of course I would include the link to your page. Thank you anyway! Watching this was crazy I knew it was my old high school/neighborhood and I knew they used a different lunch room cause ours looks wayy different. Nice to see Monroe get some shine! Dying to know the location for Hap's house when he and the Sheriff are outside in episode 5. And all the interiors of Hap's portion of the house- kitchen, etc. 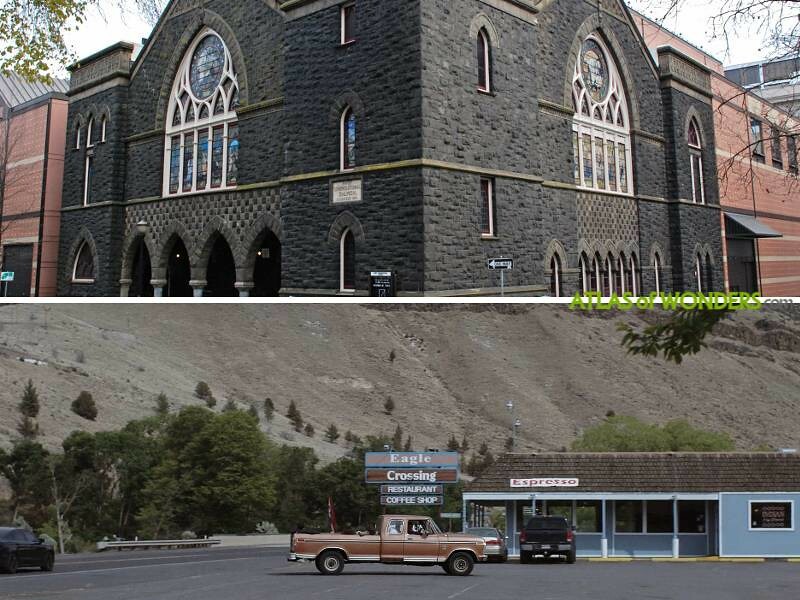 Just a heads up- they are currently filming in Troutdale, Oregon for Season 2 of The O.A. That is about 30 minutes from Portland. Where is the beach house scene shot? 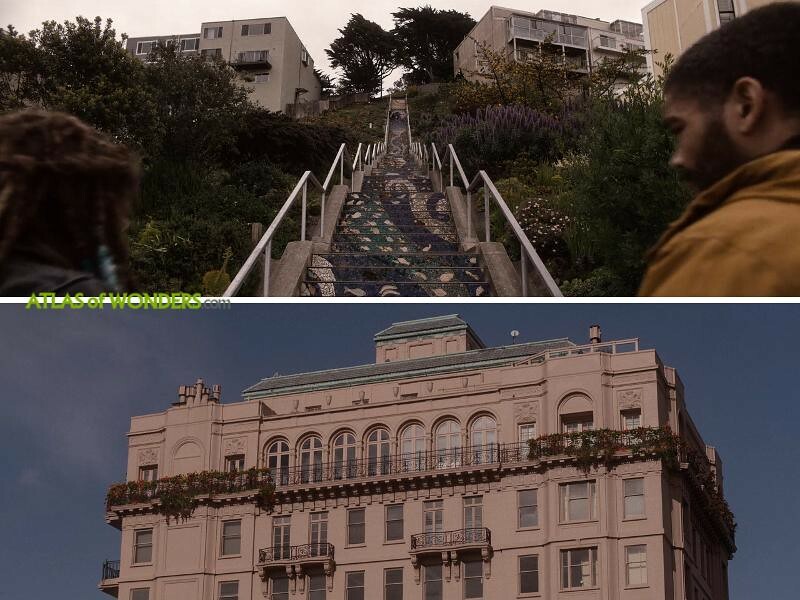 The bar in season two, that OA and Karim go to, where Russians seem to be hosting some kind of nightly circus, is filmed in White Chapel, on Polk St. Also the pink penthouse that Nina lives in, is a block away from my home, bordering Lafayette Park. I have fantasized about living in that pink building for 15 years! At the end of Part II, there's a scene with an Ambulance in the UK. The license plate is YX59 EXW, which means that's a real life ambulance from the Queens Medical Centre in Nottingham, UK, & part of the East Midlands Ambulance Service. However, inside the ambulance, the medic has "London Ambulance Service" on his sleeve, so this might be set in London. 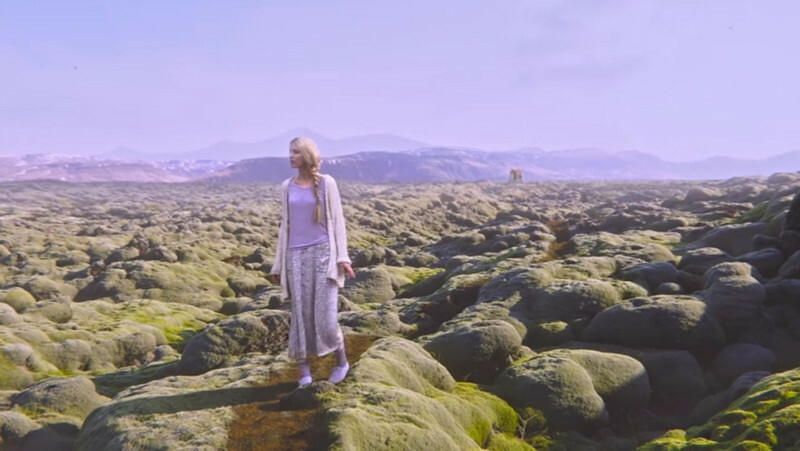 Where are the cliffs Prairie almost goes over in season 1 episode 3 when she's running from Haps house to attempt escape? Any ideas where Dr Rhodes' redwood forest cabin is in episode 2 (S2)?